Many writers know little or nothing about this. Some can’t mention the Genres of Literature and Elements of each Genres. There are a lot of definitions of literary Appreciation. A common and easy one definition of literary appreciation comes from Will Martin, Literary Appreciation it is the ability to study, understand and appreciate the famous or noteworthy literature works. Ogenwelle (2006) said that “Literary appreciation works towards an understanding of writing styles and the use of literary devices within writing, such as imagery and alliteration”. Internal Rhyme: If the rhyming words are in the middle of a line of poem, the kind of rhyme thus form is called internal rhyme. Rhyme- scheme: The pattern or sequence of in which words rhyme with each other. It is usually denoted aa, bb, cc, dd, e.t.c. Alternate Rhyme-Scheme: It occurs when first line of a poem rhymes with the third. The second, with the fourth, the fifth with the seventh e.t.c. Tone: Tone is the inner voice which sends the feelings of the poet or the poet’s persona to the reader. 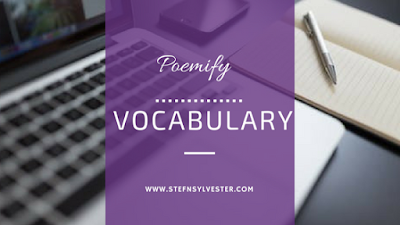 A tone may be of sorrow, anger, resignation, ridicule, contempt, sarcasm, joyous e.t.c if a student is asked to state the tone of a poem; he is expected to use appropriate word as one of the ones listed above, to describe the tone. The tone of a poem has direct effect on the mood. Mood: It is the author’s or poet’s state of mind at the time of writing his poem. Put differently, it is the emotional attitude of the poet to his theme. Rhythm: Is a word derived from a Greek word. It means movement from one part to another part. Sounds are expected to flow in poetry. As we unstressed or stressed word in a line of poem, flow of sound is generated. Briefly put, rhythm is that element which gives a poem its musical quality. Stanza: It is an Italian word for stopping place. Stanza in a poem is a group of lines considered as one unit. Each stanza contains a single thought or idea. Stanzas are to poem as paragraphs are to a prose. Stanzas are usually separated by spaces. A stanza may be named according to the number of lines it contains. In our next class on Literary Appreciation, we'll discuss Poetic Devices and their proper application.